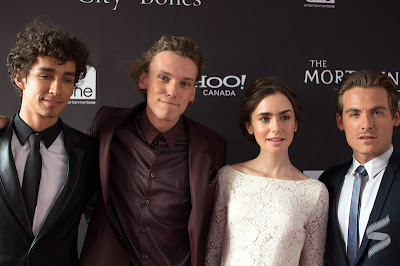 We were so lucky to get 2 TMICanada bloggers at The Mortal Instruments: City of Bones Toronto premiere on Thursday night. So, here we are going to feature two opinions on The Mortal Instruments movie. This year, out of all the book adaptions I've watch (or tried to watch), I would have to say The Mortal Instruments is the best one. So many fans have been worried about The Mortal Instruments movie becoming another box-office miss like The Host, Beautiful Creatures, and Percy Jackson: Sea of Monsters. After watching the movie, I genuinely believe The Mortal Instruments will become the next big franchise. And in the highly unlikely chance that it will not, I'm sure the fans of the series will enjoy the movie. Unfortunately if you are a huge Godfrey Gao fan, it did sound like they dubbed (or edited) his voice so that there was no accent in his English. 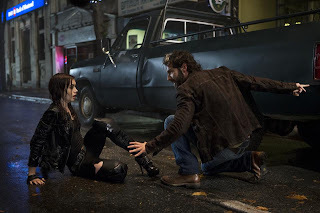 If you followed the pictures and news during the filming of The Mortal Instruments or if you live in the GTA, you can tell that the streets are not in New York. In addition, a BMO showed up in one of the shots, but hey, who cares? After you watch the movie, you should watch the behind the scenes videos because you will appreciate the stunts the actors did (own their own) even more. When Lily Collins said this movie was a mix of action, comedy, love and just about everything, she was telling the truth. Has some hilarious lines! The comedy from the book does present itself throughout the movie. After watching the movie once, I want to go and watch it again in IMAX so that there is more Mortal Instruments on the big screen! I should start off by saying that this movie was well worth the 5 year wait from when I first started reading these books. Harald Zwart and the whole TMI team did an awesome job in making this book into a great movie. Jamie is Jace!! If after watching this movie you still think that someone could play the character of Jace better than Jamie Campbell Bower, I will argue you to the death. He brought all of those components of everyone’s favourite character to life, being that sarcastic teenager with his hidden agony from his past. So from us here at TMI Canada, GREAT JOB JAMIE! This is, hands down, the best book-to-movie adaptation I have seen in a very long time. 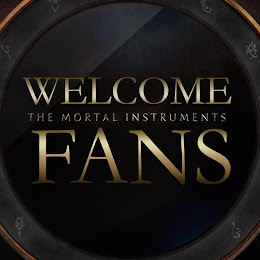 Twilight, The Hunger Games, The Host, Percy Jackson—I’ve seen and read them all, and none of them come even close to The Mortal Instruments in terms of books-to-movies. The best thing about this movie was that they made very little changes to the plot of the movie from the book—everything was spot on and correct. There was one scene that they did change for the purpose of having the scene run on for too long, but other than that, the movie and the book were completely similar. We have the greatest fandom in the world. The atmosphere in the theatre was amazing! These shadowhunters were very passionate about this film and book series, and it was great being in a room where everybody had the same reaction to everything (WARNING: be prepared for massive screams when the Clace kiss comes on screen). Our fans are awesome! Of course, there was the downside of having Godfrey’s voice dubbed over, but don’t worry…you get over hat very quickly once you see him in action. On that note, all the actors did an awesome job portraying these characters from this awesome book. Lily, Jamie, Kevin, Jemima, Robbie…congratulations on doing such a fantastic job! This movie has made me so excited for City of Ashes…I just can’t contain myself. The Mortal Instruments: City of Bones hits theatres August 21, tweet us @TMICanada and let us know if you enjoyed the movie as much as we did!